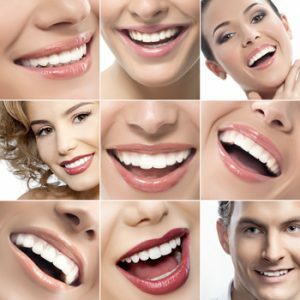 Because having whiter teeth has now become the number one aesthetic concern of most guests, there are a number of ways to whiten teeth. The most popular method is using a home tooth whitening system that will whiten teeth dramatically. We are excited to announce our new partnership with WhiteNow Smiles® – the revolutionary new way to find and schedule your professional teeth whitening! As the leader in state-of-the-art dentistry, Triangle Family Dentistry will be the first dental office in North Carolina to offer WhiteNow Smiles®, and we want you to be the first to know! We make it easier than ever to get your teeth professionally whitened without the high cost and lengthy wait times to get an appointment. Simply download the app, then book an appointment within 24-hours of your desired time slot. Consent, payment, and scheduling your appointment is all handled on the app. Plus, there’s no paperwork to fill out or unpleasant waiting periods. so all you have to do is show up! We use a fluoride-based whitening formula that includes anti-sensitivity agents to help dramatically reduce the sensitivity that some guests may experience during and after their treatment. Although experiencing mild sensitivity is normal, our professional whitening products are designed to reduce this unpleasant experience. To get started, simply download the FREE WhiteNow Smiles app and join the low cost, convenient world of professional teeth whitening today!